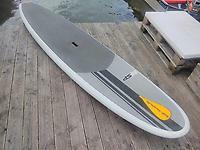 The board is very stable, durable and light. 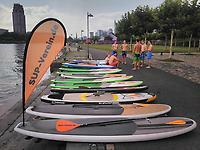 For cross training SUP paddlers finding their way into the surf, this board is gaining a lot of popularity. 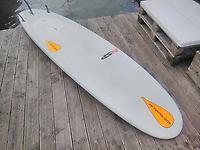 The glide and stability that make it good for working out and exploring your local lake, also give it effortless wave catching ability for novice SUP surfers. • Unverbindliche Preisempfehlung (UPE): 1089,95 €, inkl. MwSt.